Again and again social change movements--on matter s from the environment to women’s rights--have been run by middle-class leaders. But in order to make real progress toward economic and social change, poor people--those most affected by social problems--must be the ones to speak up and lead. It can be done. 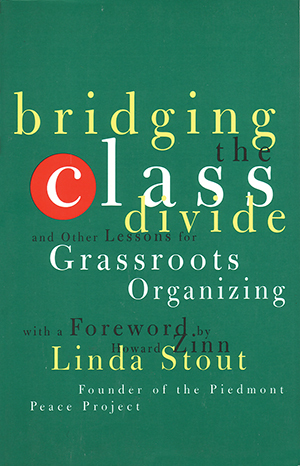 Linda Stout herself grew up in poverty in rural North Carolina and went on to found one of this country’s most successful and innovative grassroots organizations, the Piedmont Peace Project. Working for peace, jobs, health care, and basic social services in North Carolina’s conservative Piedmont region, the project has attracted national attention for its success in drawing leadership from within a working-class community, actively encouraging diversity, and empowering people who have never had a voice in policy decisions to speak up for their own interests. The Piedmont Peace Project demonstrates that new ways of organizing can really work.